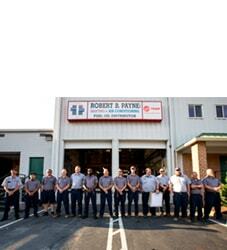 Best Residential A/C & Heating Services Fredericksburg, VA | Robert B. Payne, Inc. Residents of Fredericksburg have trusted the Robert B. Payne, Inc. team since 1930. We specialize in providing commercial and residential customers with reliable HVAC services. Our customers know they can depend on us to repair and maintain these essential systems. The next time your residential HVAC system needs taken care of, give us a call. We have a reputation for excellence that you can depend on. To learn more about these residential HVAC services, simply click the link. You can also call us or use the online form to contact us. A service representative will be happy to answer your questions. If you’re looking to repair the HVAC unit in your home, give the experienced professionals at Robert B Payne a call. Our technicians have seen just about every malfunction you can imagine on nearly every make and model out there and we’re confident we can help you. Whether you’re dealing with the wrong air temperature, problems with your thermostat, strange smells or sounds, or some other issue, Robert B Payne has you covered. We’ll be happy to work around your schedule in order to serve your family best. Give us a call today to get your HVAC unit working at it’s best so you can enjoy cool clean air throughout your home. In terms of addressing the heating and cooling of your home, it is key to assess what HVAC duct design works best for the space. This can mean a variety of things. Is the space large enough to accommodate the duct work? If not, should there be a ductless system put in place? Residential HVAC duct design is not an intimidating job, but it does require forethought. Make sure that when you contact Robert B. Payne, Inc., you’re willing to address the issues and decide on what works best for your particular home. When the weather gets tough, your HVAC system may begin to falter and fail when it is needed the most. Your heating or cooling system can only take so much before it begins to break down. If this happens, no matter the time of day, it would be wise to call in the services of Robert B Payne to repair any problems as quickly as possible. Our emergency HVAC service is available 24 hours per day, 7 days a week. We offer lively, efficient customer service for each and every customer, and our technicians will go over everything you need to know beforehand, including prices and what exactly needs to be fixed. On top of that, we guarantee all repairs will be performed in the correct manner the first time, not on subsequent visits. Ideally, your air conditioning or heating unit would not break down, but we don’t get the choice as to when this happens. Instead, our technicians can simply respond and fix the issue in a timely manner for you. Fredericksburg residents use many different types of water heaters in their homes. No matter whether you depend on a tankless water heater, propane water heater, electric water heater, or gas water heater, you can count on us for all service and maintenance. 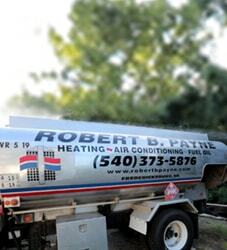 Robert B. Payne, Inc. also offers water heater installation and service options to our commercial clients. Just call or contact us online for more information. Fuel oil distribution is another valuable service we offer to our residential customers. Oil is a convenient way of producing the power required for residential HVAC systems, including water heaters. Many of the oil powered residential heating systems made today receive an Energy Star rating, which certifies their energy-efficient nature. These dependable systems can be kept running thanks to oil deliveries by Robert B. Payne, Inc. distribution associates. To arrange for distribution services, simply call or use the online form. We will be happy to tell you more about this valuable service. Why do I have hot and cold spots in my home, and how can they be fixed? A common complaint amongst homeowners is that certain areas of their house are either too cold or too hot, while the rest of the house remains at a pretty standard temperature. This issue can cause quite a bit of discomfort for those living in the home. A variation in temperature, by just two or three degrees, is quite normal and does not point towards a larger problem. When the issue is 10 degrees, however, a problem is definitely on hand with the heating and air conditioning system. A professional can examine your system for any faults that may be causing these occurrences. 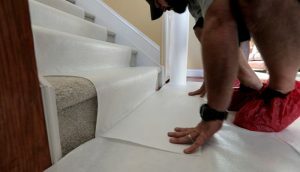 A few possible reasons for this happening include leaky ductwork, an incorrectly-sized heating or cooling unit for your home, the placement of vents in the home, the temperature control being installed in a bad spot, or the placement of doors and windows. What regular service do residential HVAC systems need? Regular maintenance to your residential HVAC system is necessary in order to prevent large repairs that will be costly down the road. Neglecting the most necessary maintenance will guarantee your air conditioning or heating system will slowly decline in performance and efficiency, costing you more money to operate on a regular basis and providing more discomfort than most people are interested in sitting through. To start, you should always check the filters, coils, and fins of your air conditioning unit. Replacing a dirty filter is vital to ensure the entire system continues running. With a dirty filter, it won’t be long before the evaporator coil becomes impaired. For most air conditioning units, the air filter should be changed out at least once per month. If you are unsure of exactly what maintenance needs to be performed regularly, it may be best to set up a maintenance schedule with our professional HVAC services. 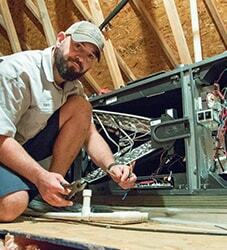 Our technicians know what to watch for and can prevent large breakdowns or costly repairs. Robert B. Payne, Inc. is proud to offer residential air conditioning and heating services to clients throughout the Fredericksburg area. You can reach us by calling (540) 373-5876 or toll free at (540) 373-5876. You can also use our online form to request a service visit. We look forward to serving you.